UIIC Recruitment 2019 - Job notification for Medical Professionals Posts in UIIC, Chennai, Tamil Nadu. 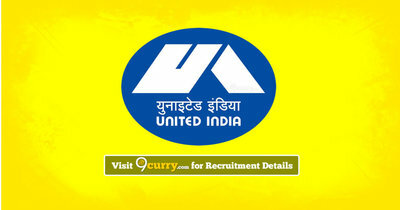 Applications are invited by United India Insurance Company Limited (UIIC) on or before 28 Feb 2019 for 12 vacancies. For Gen/ UR Candidates Minimum of 21 years and the Maximum of 30 years as on 31.12.2018. M.B.B.S. Degree or equivalent foreign degrees, which are recognized as equivalent to M.B.B.S. degree by the Medical Council of India, from a recognized University and must be holding a valid registration from Medical Council of India or any State Medical Council. The decision of the Company will be final in this regard. Eligible candidates may send their application in prescribed format (attached below) to The Deputy General Manager (Hr) Hrm Department United India Insurance Company Limited Head Office, 24, Whites Road, Chennai – 600 014 on or before 28 Feb 2019, along with attested copies of certificates in proof of their age/date of birth, educational qualifications, community to which they claim to belong etc.